A diacritical mark is a mark added to a letter that indicates pronunciation. A symbol is a character like a heart. 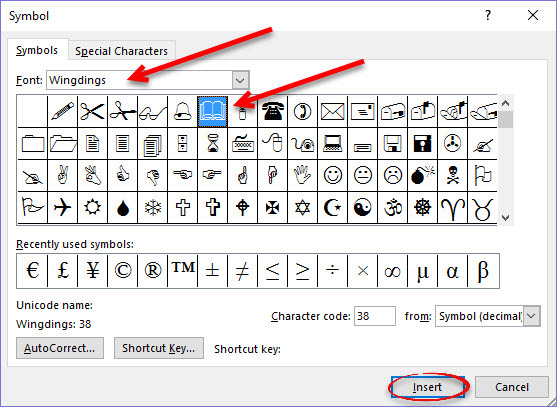 Here's how to add diacritical marks to letters in Word and insert a symbol. You can also create an AutoCorrect entry for the word so you don't have to add the symbol each time you type the word that needs a diacritical mark. This process also works in Word 2013. 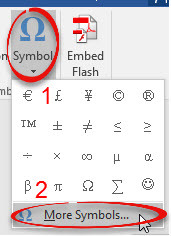 Step 3: Choose the font and then click on the symbol, then Insert, then Close. This example uses the word KᾹV, where the diacritical mark is over the A. Step 1: Open a Word document. 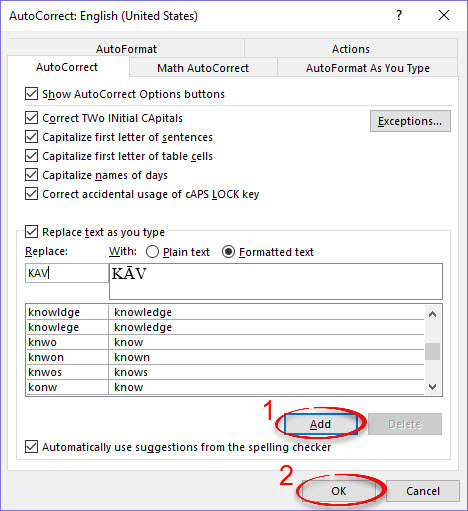 Step 2: Type the entire text as regular letters. Highlight the letter that needs a diacritical mark. Step 4: Click the Insert tab. 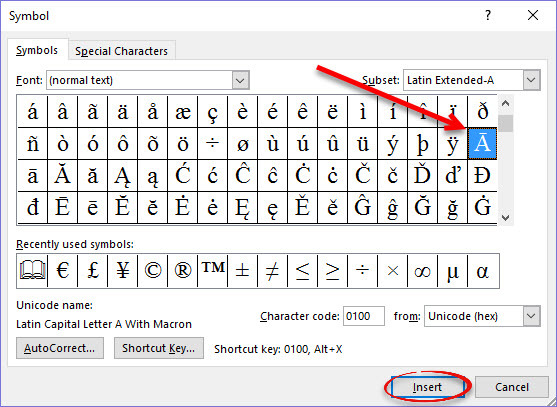 Step 6: Select the symbol that contains the letter with the diacritical mark. Click Insert. Step 7: Close the Symbol dialog box. The letter with the diacritical mark will appear in the text. Step 1: Highlight the word that contains the diacritical mark. Step 2: Click the File tab and select Options. 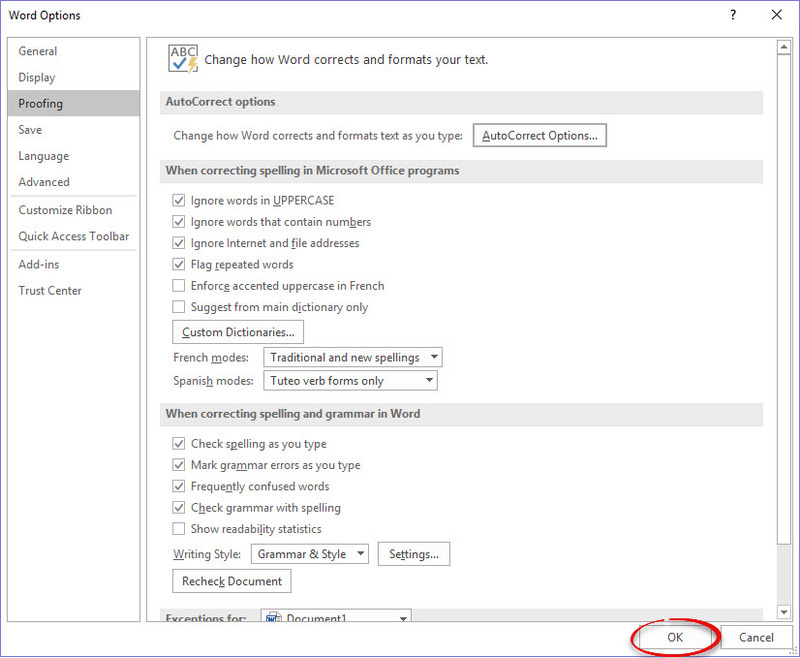 Step 5: In the Replace text box, type the word as it appears without any marks. Step 6: Click Add, then OK. Step 7: Click OK on the options window. Step 8: Now, when you type the word without any mark, it will be AutoCorrected to the include the diacritical mark.